Haldanes is proud to be the exclusive author of the Hong Kong Chapter of “Anti-corruption Laws and Regulations” published by Globe Law and Business in the United Kingdom. This publication is a practical guide to in-house counsel & international practitioners on the anti-corruption regime, investigations & prosecutions, recent case law and possible reforms in Hong Kong and globally. 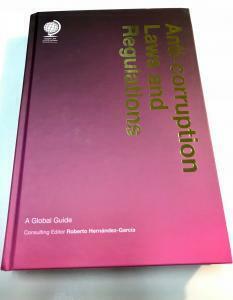 Our partner Felix Ng and Associate Sophia Lam are the authors of the chapter.